While a pictures is worth a thousands words, it can only do so much to tell the story of someone you may or may not know. Which is why I started the series, to dive deeper into and learn more about the person themselves. Simply a little peek into someone else’s world. I wanted to revamp my interview series and decided to start with a friend of mine I met a few months ago, Jenny. 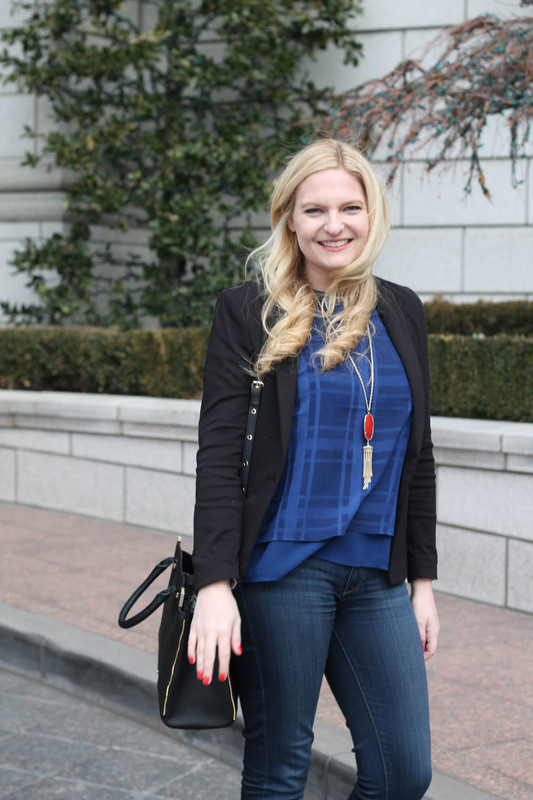 She was new to the city and we ended up connecting through the blogging community. 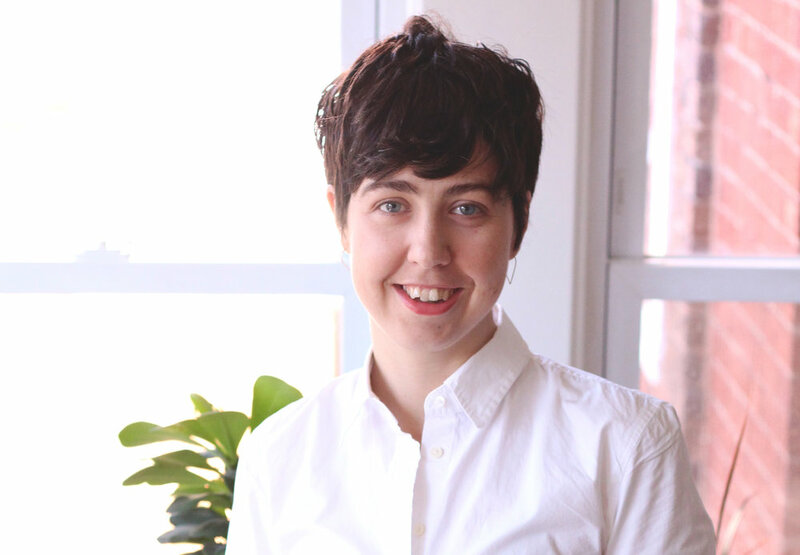 After graduating from Ohio State University, Jenny made the giant leap of moving to the Windy City to pursue her career and hasn’t looked back since. She was kind enough to answer a few questions I sent her about being a young professional in Chicago and the lessons she’s learned along the way. Explain in a short paragraph what it is that you do? Feel free to dumb it down for us who aren't as familiar with healthcare terms. I work on a startup-like project in healthcare that aims to standardize the representation of clinical health data derived from sensors and devices. Technology has a lot of possibilities to help patients, but healthcare hasn't quite caught up to the speed by which the tech world is advancing. My team is working to transfer data from remote devices (e.g. Apple Watch, Fitbit, etc.) into electronic health records (the computer the doctor uses in the office to store patient data) in a way that is more useful to clinicians. My primary role is to create content to engage stakeholders, clinicians, and health IT professionals, as well as provide data analysis for our digital platform. What did you study in school? How do you think that's helped you in your job? I double majored in Biology and Strategic Communications at The Ohio State University. Studying pre-health Biology has helped me gain perspective on how a physician might think about healthcare, and also fostered my curiosity to test new ideas. The ability to be curious and challenge processes has proven very useful in a startup environment--it is rare that your first idea will be perfect. I really enjoy communications because I love writing and believe that it is a skill that is useful no matter your job. Now that you've made it through your first year as a full-time working woman...what advice do you have for those who are about to enter the working world? My advice would be to work extremely hard and don't be afraid to ask questions. From experience, if you continually demonstrate your drive and passion for your work, it will open doors to greater responsibility and your job will feel more rewarding. If there's a project you want to lead, just ask. If the answer is "no," then you are in the exact same place you started, but the answer could be "yes." Best career advice you've ever received? The best career advice I received was to have a mentor and network. Other people will support your professional development and help you--you just have to find them. What's your best advice on finding friends after moving to a big city? I didn't have any close friends from college move to Chicago, so it was up to me to seek out new relationships. Outside of work, I have a small blog, and one of the reasons I started it was to connect with other bloggers who may have something in common with me. I also met some girlfriends who are coworkers of people I know. As soon as you start meeting people, expanding your network gets easier from introductions. What was your favorite park about growing up in Columbus, OH? Columbus is not a big as Chicago, but there is still a lot to do. It was fun to grow up in a neighborhood with old charming houses, big trees, and to have a yard. It's a driving city, so getting downtown is a pretty quick commute and there are great restaurants/bars. Since it's a city in the Midwest, people are generally very friendly. TV show you're currently binge-watching? Friends--I know, I'm late to the party. I'm a huge Gilmore Girls fan, so next on my list is the Marvelous Mrs. Maisel (also produced and written by Amy Sherman-Palladino). Who is inspiring you lately? Whether on social media or in IRL? Oprah and my Mom! I listen to Oprah's SuperSoul conversations every week as a way to disconnect from work when I get home. Spreading kindness and understanding what spirituality means to you is so important to me. It's also inspiring to see a woman use her power to make good in this broken world. My Mom is inspiring to me because she reminds me that it's OK not to have everything (AKA career, life, etc.) figured out right now and to take it a day at a time. This world might slow down a bit if more people had that mindset. It’s hard to deny social media has become a big part of our daily lives — what do you think is the downfall to spending so much time online? I think right now the biggest downfall to being online often, AKA social media, is its negative impact on mental health. As a result of comparison (and I'm sure other factors I'm not considering), too much pressure is put on people to look and live certain ways that is not healthy and unrealistic--not everyone is going to have the exact same life and that is OK. We often forget that social media is often the "highlight reel." People are probably more inclined to post about experiences that made them happy or enjoyed, as a memory. I also think it draws from in-person interaction. If you see someone's updates online, are you still inclined to get coffee with them to catch up on how they're doing since you already have an idea of what they're up to? If the world was a perfect place, where nothing ever went off script...where do you see yourself in five years? Many potential scenarios here. Hopefully I'll come home to a nice house after a fulfilling day's work to someone I love and a furry friend. Lots of reading, cooking, and enjoying little moments in life. Finally -- You're favorite quote at the moment! Hope you enjoyed reading this interview, if you know someone you think deserves to have their story told, send them my way! Let me start off by saying, if you are ever so lucky to hang out with Regan Baroni she's probably one of the nicest human you will ever meet. Not to mention a fantastic photographer too. She someone I look up to in the world of photography and I'm so excited to share this interview with you all! 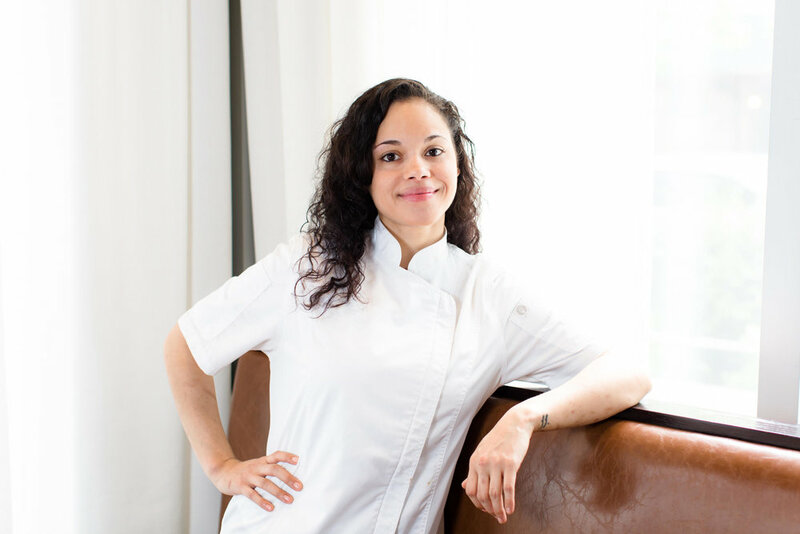 Angelina Bastidas is taking names and orders, all while breaking every stereotype in the culinary world: Young, Female, and Latino. Her next stop, creating a diverse menu of flavors here in Chicago at the new American restaurant and wine bar, BIN 36. The creator of the She Did It Her Way podcasts talks about her start in the entreprenurial world and why it is important to support other women. 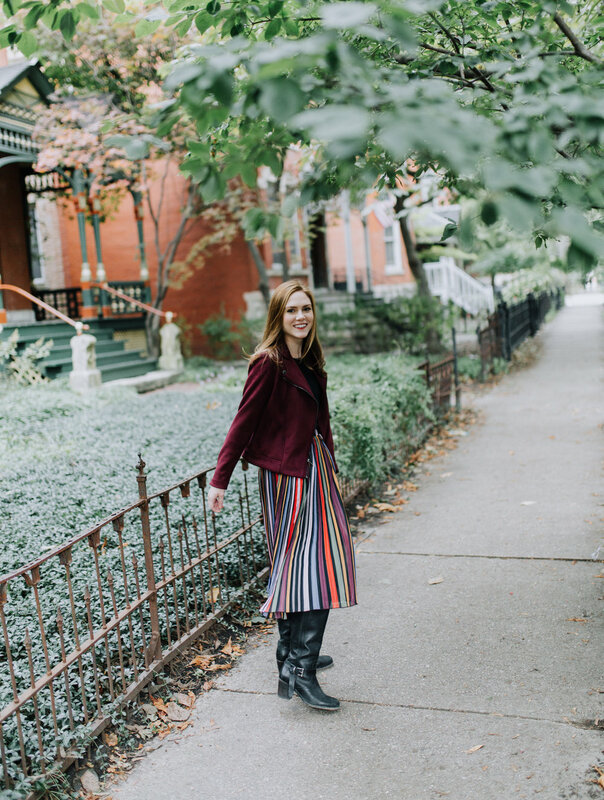 I recently interview environmental activist Ashlee Piper for The Chicago Chic. She breaks down the current climate situation and gives tips on how you and I can make significant impact! It's hard to describe Kit Graham in a few words -- she's a mentor, boss lady, killer cook and travel aficionado. And it just so happens I'm lucky enough to call her my boss/mentor. Not only does Oona Holtane, Chicagoland illustrator and designer, follow her own creative intuition but she captures the human spirit in her portraiture and character design. Jess from 26 and Not Counting gives a little insight into her blogging journey and her decision to make the jump and move to Chicago. It takes a special kind of person to bring ice cream into its completely own art form.